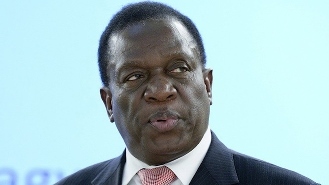 HARARE – President-elect Emmerson Mnangagwa has signed the Shop Licenses Amendment Bill, 2018, into law. The new law will enable local authorities to issue shop licences quickly and efficiently thereby encouraging domestic and foreign investment as well as revenue collection. Chief Secretary to the President and Cabinet Misheck Sibanda gave notice of the enactment of the law in Friday’s Government Gazette. “The following law, which was assented to by His Excellency the President, is published in terms of section 131 (6) of the Constitution of Zimbabwe — Shop Licenses Amendment Act, 2018 (No. 8 of 2018),” reads the gazette. Former Speaker of the National Assembly Jacob Mudenda had on July 26 given notice that the Shop Licences Amendment Bill, 2018, had been transmitted to Mnangagwa for his assent and signature. The Act amends the Shop Licences Act so that any person who operates more than one vending machine on any premises, the licensing authority shall issue one vending licence in respect of the vending machines on such premises. The Act also relaxes duration of licence, fees and penalties.